Handheld, rocket parachute flare red light. 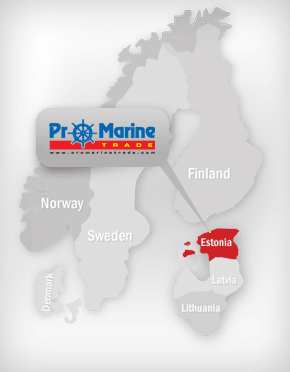 Distress signal for: ship's lifeboats, liferafts, commercial/pleasure crafts. Type approved by Solas 74/96 Res. IMO A 689 (17) Res. IMO MSC 54 (66) Dir. 96/98/CE. Hand flare red light, Type approved to Solas 74/96 Res. IMO A 689 (17) Dir. 96/98/CE. Hand flare white light, Type approved to Solas 74/96 Res. IMO A 689 (17) Dir. 96/98/CE. Approved according to CE. Distress signal for lifeboats and liferafts conforming to SOLAS 74/88. Also usable for small vessels and leisure crafts. The Handflare is equipped with a pull-wire igniter, a simple and reliable means of ignition. Burning time: 60 seconds. 15 000 cd. Weight: 176 grams. Approved according to CE. Distress signal for ships (bridge), lifeboats and liferafts conforming to SOLAS 74/88. The parachute signal rocket, red, consists basically of 2 main components. The launching tube with integral ignition system (pull-wire ignitor). The rocket with: The rocket motor and the red flare attached to the parachute. Approved according to CE. Distress signal for lifeboats and liferafts conforming to SOLAS 74/88. Floating smoke buoy for marking purposes. The smoke signal, Orange, is equipped with a pull-wire igniter. The smoke duration: 3 minutes. 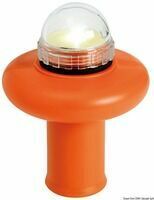 Safety light KTR LED with automatic overturning switch-on. Powered by 4 alkaline AA batteries, included; 4-year runtime guaranteed. Fitted with turning safety electric switch, to be activated before switching on the device. Includes clip-on wall support. Dimensions: 110 x 135 mm. Weight: 0,16 kg. Floating rescue light with automatic tilt switching and LED light source. Power: 4 x AA batteries. Light buoy Star 1 fitted with automatic overturning switch-on. Powered by 4 x 1,5 V batteries. 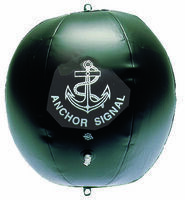 Buoy size: 350 x 120 mm. Made of stainless steel, for wall mounting or for mounting on life buoy support, Hose diameter: 22-25 mm. 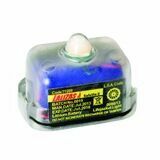 Electronic signaling LED-device for liferings, buoys, liferafts and other lifesaving devices. Manual version. MED 96/98/CE. Dimensions: 93 x 48 mm. 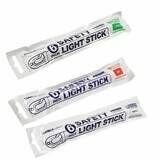 Lifejacket LED flashing light Lalizas Safelite II. Water activated, ΟΝ-ΟFF. The Dan W3 is a flashing lifejacket light which is activated by a water sensor or manually using the on/off button. The Dan W3 is for use on all types of lifejackets. Light is supplied with a fixing clip. 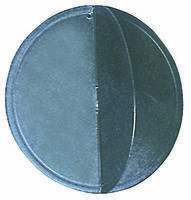 The clip is intended to be placed behind a strip of lifejacket material or reflective tape; the light is secured by pressing it into the clip. Automatic lighting when it comes into contact with water. MED approved. Modes: fast flash, fixed light, SOS, OFF. Dimensions: 62 x 28 x 31.5 mm. Waterproof plastic bucket for pyrotechnics. Dimensions: 113 x 346 mm. 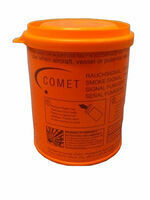 It is hold for two handflares and two parachute rockets..
Large waterproof rocket bin. Dimensions: 340 x 220 mm. Black inflatable ball does not occupy space when deflated. To be hoisted when the boat in anchored. If there is no steering 2 balls shall be mounted. Diameter: 40 mm. Made of antiglare black polycarbonate, to be hoisted when the boat is anchored, if there is no steering 2 balls shall be mounted vertically.